Hackerspace Los Angeles is a non-profit corporation (C3952740) in the state of California. We are a 501.c.3 organization. As of 10/06/2016, donors can deduct contributions they make to us under IRC section 170. We are also qualified to receive tax deductible bequests, devises, transfers or gifts under sections 2055, 2106, and 2522. IRS letter (PDF copy) of determination will be provided upon request. Hackerspace Los Angeles is working to develop an open-access workshop project that serves people in the San Fernando Valley area of Los Angeles, CA. We will provide the equipment, classes and personal help to a membership community that allows them to prototype and develop any idea/project they can imagine. We focus on developing and fostering a creative community of hands-on individuals and providing them with the tools they need to succeed. The location will have equipment for welding, metalworking, woodworking, plastic working, couture, electronics, programming and many other skill sets. There will be regular classes over these areas that will train people to safely work with this equipment and how it can be used to realize their ideas. 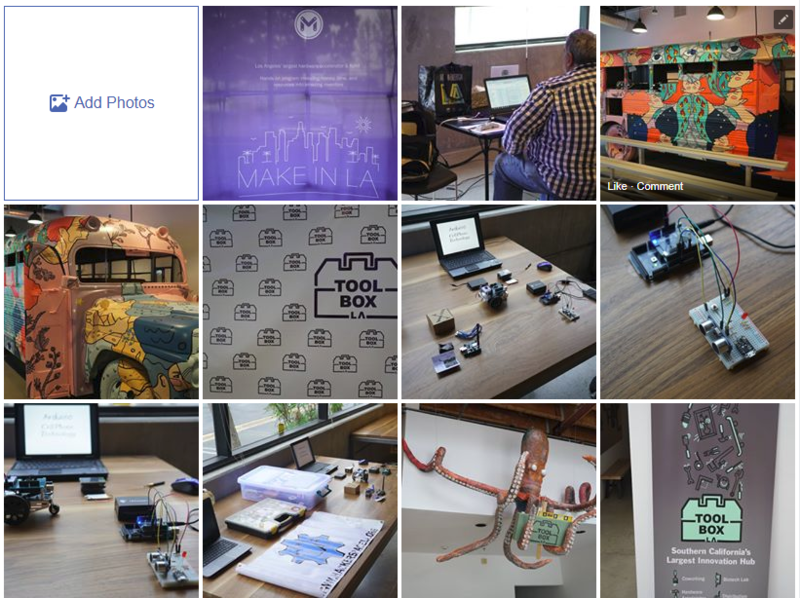 Hackerspace LA is part of the Maker Movement and revolution of millions of people across the world who are taking big risks to start their own small business dedicated to create and sell self-made products. In today’s world of mass-produced cheap items, technology has made it easier for single individuals to create and distribute quality products that are custom made without having middlemen like manufactures or big corporations. This change in local manufacturing will continue to have an effect on the economy for years to come and will see many improvements in the local economy. The Maker Movement has also made an impact in education, it has enabled a learning revolution with new tools and technology, such as 3D printing, robotics, microprocessors, wearable computing, e-textiles, “smart” materials, and programming languages that are being invented at an unprecedented pace. The Maker Movement creates affordable or even free versions of these inventions while sharing tools and ideas online to create a vibrant, collaborative community of global problem-solvers. Hackerspace LA will offer services that will attract both the professional innovator and the occasional maker. Hackerspace LA will also offer STEAM activities intended to inspire children to create stuff that matters. The main objective of Hackerspace LA is to support the creative process and personal growth of individuals by providing a workshop space where amateurs and professionals interested in art, electronics, photography, robotics, software, video, wood or metal working, etc. can expand their skills, invent and build new products in a collaborative environment.